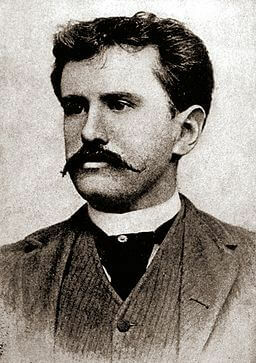 For O. Henry, the short story was not just a literary act of communicating his artistic imagination, but also a vehicle to explore the extreme possibilities of such an endeavor. His stories are characterized by extreme unpredictability, transforming the genre into an active, pulsating living presence. “The Cactus” is no exception. The readers are , for the principal part of the story, invited into an assurance of predictable dullness when suddenly their trance is broken and they are awakened to a revelation. The most potent device that O.Henry uses to ensure that the readers go through such a climactic experience is the deft use of the narrative mode. He uses a third person limited narrative persona who is able to provide an objective rendering of the principal character’s thoughts and actions. The story opens with a general observation of the disparity between temporal expanse and one’s consciousness of it, subsequently relating it to Trysdale’s present state. This helps him to provide a retrospective account of Trysdale’s amorous encounters his defeat and sense of despair. However, the account itself is not entirely objective as it is focalized through Trysdale. It becomes a revelation for Trysdale as he finds himself responsible for his suffering: “ He saw all the garbs of pretence and egoism that he had worn now turn to rags of folly.” At the same time, the author rouses the readers’ curiosity as to why the affair could not work! The lady-love is portrayed with every conventional “feminine grace”- modest, childlike, worshipful and sincere. The descriptions, evocative of the Petrarchan Courtly tradition, are ironically, an inversion of the same tradition.this is because, it is the man who is placed on the pedestal and the woman becomes the adoring worshipper. This could have been a possible reason for the disastrous outcome, for it only enhanced Trysdale’s vanity. The next part of the story allows this metaphor of thorn to develop through a detailed account of the arrival of the cactus, sent without any note bearing only a tag with a strange botanical name. the final revelation comes only at the end when the readers come to know that the botanical name “Ventomarme” was worth a dozen love letters. However, Trysdale’s ignorance kept him from understanding the inviting message “come and take me”. The damage was complete when this ignorance was coupled with conceit. The final sentence puts the readers into a perplexing situation, despite the apparent humour of it. It becomes difficult to see Trysdale as only a rude chauvinist and one may even feel sympathetic for him. Short stories are not tragedies where mighty heroes fall from height and go through anagnorisis before the final donfall. Short stories provide chunks of real life where mediocre people fall for mediocre follies. The error of judgement on the part of Trysdale is not difficult to locate. Had he been a little less conceited, he could have confronted his beloved for a clear explanation about her “thorny” message. He chose pride over love and eventually lost both. O.Henry generously scatters symbolic messages throughout the text. Trysdale’s slow opening of gloves becomes symbolic of his conscious rejection of the past. At the same time, the warmth of the gloves may be equated with the warmth of love that Trysdale has to let go of. Cactus, a thorny plant, a conventionally accepted symbol of repulsion and distancing, suffering and wound, becomes a symbol of amorous invitation. This is the imaginative genius of O.Henry- he transforms the deep-rooted conventions of the readers to ensure that they see the reversal in its entirety. The object of supposed rejection becomes the object of acceptance. O. enry uses symbols only to dismantle the assumed connotations so that the readers interpret it in a whole new light. To understand how the author manipulates the reading experience in “The Cactus”, it becomes useful to identify the correlation of symbols, narrative mode and character representation to lead to the point of reversal when the irony of fate is realized by both characters and readers. He follows every rule of the genre- limited number of characters, unity of place, time and action; single line of plot; potent symbolism and link with real life experience. At the same time, he goes beyond the genre, in portraying a singular universality and almost pathetic defeat of man in the hands of fate.